It’s magic. 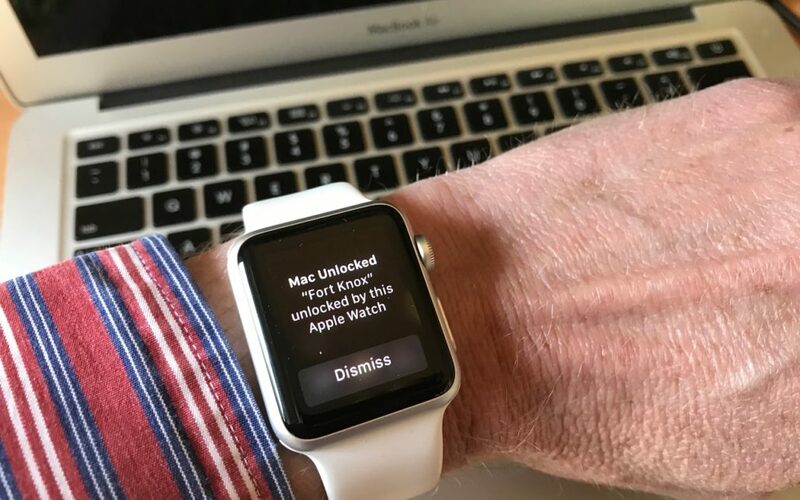 You walk up to your Mac, touch a key to wake it up, and upon noticing that you’re wearing your Apple Watch, it unlocks without making you enter a password. Brilliant! 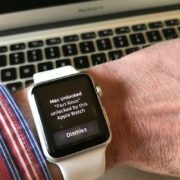 For some of us, it’s almost a reason alone to get an Apple Watch. Next, you need to turn on two-factor authentication. 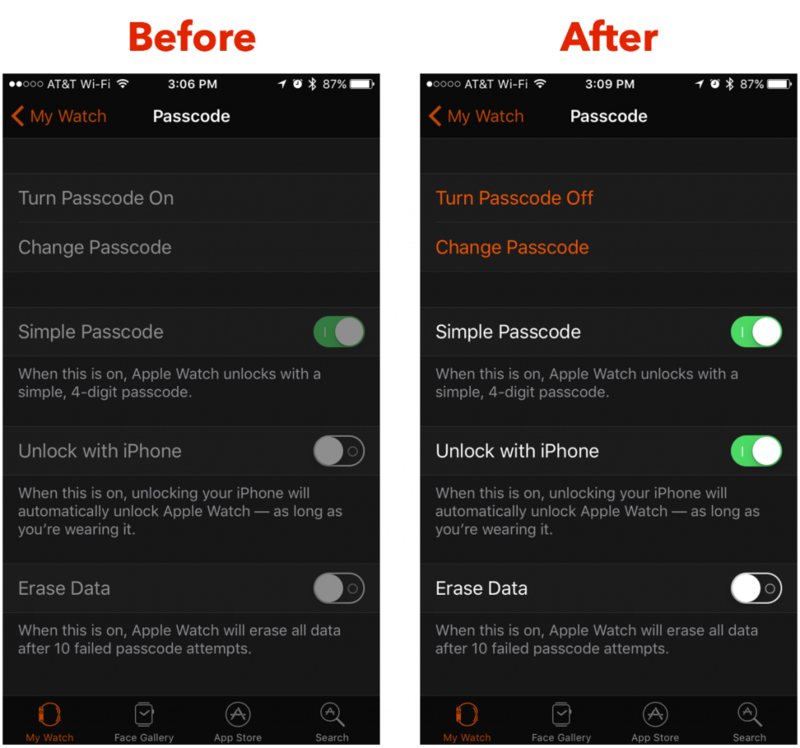 If you were using Apple’s previous two-step verification, you must switch to two-factor authentication. 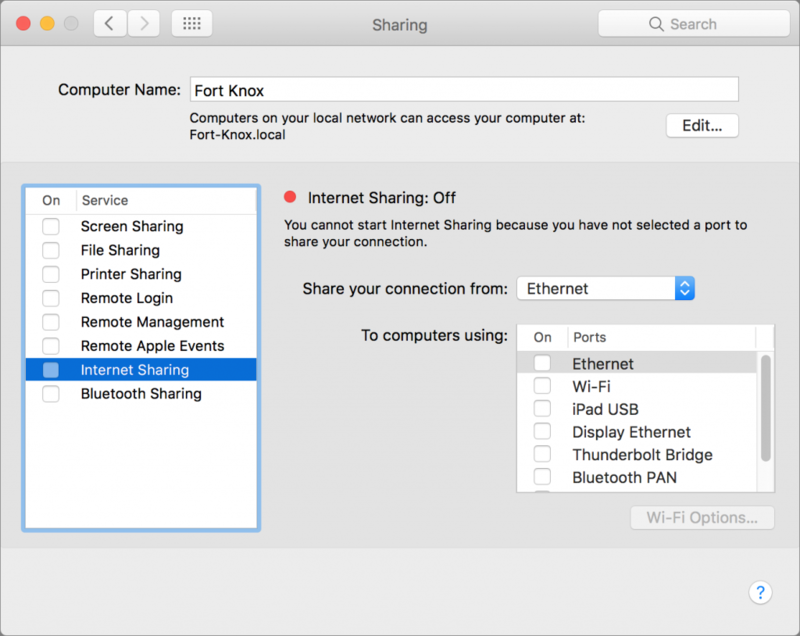 It adds an extra layer of security to your Apple devices and accounts, including iCloud, and is well worth doing in this day and age of password thefts. Plus, it ensures you don’t have to remember those inscrutable security questions about your favorite elementary school teacher! 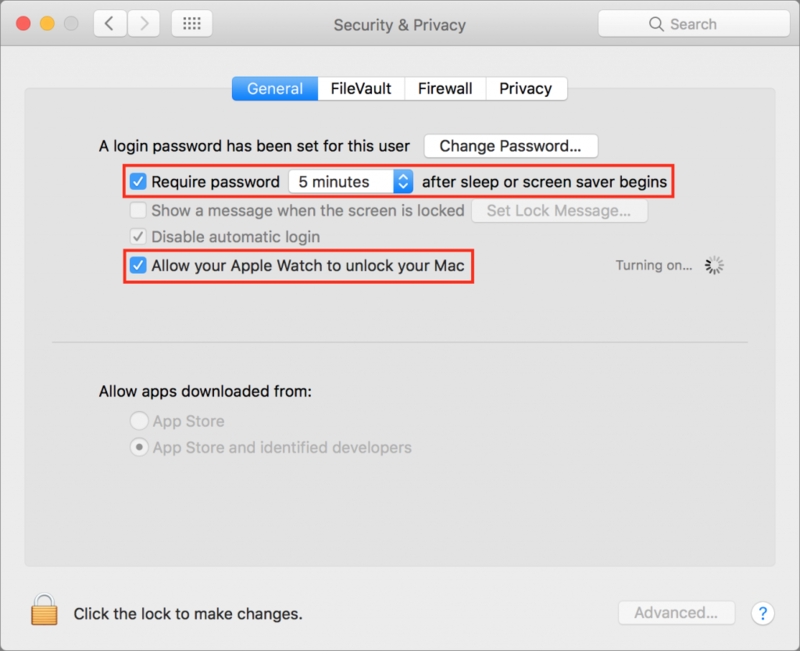 The links earlier in this paragraph have more details, but you enable two-factor authentication in System Preferences > iCloud > Account Details > Security.